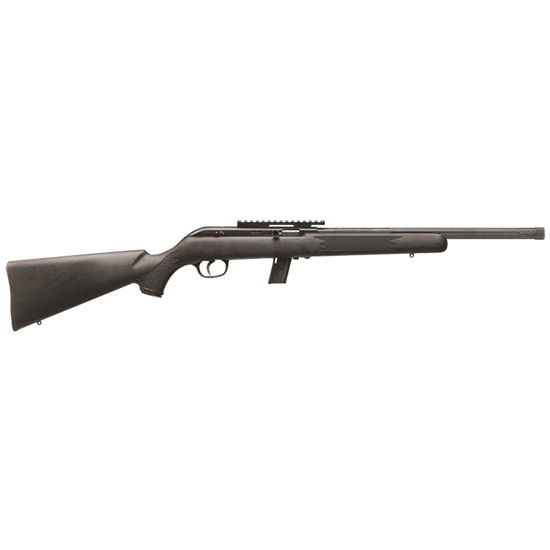 Savage 45110 64 FV-SR Semi-Automatic 22 LR 16.5 10+1 Synthetic Black Stk Blued in. The 64 FVSR is a semiautomatic rifle that is designed for use by novices and shooting enthusiasts alike. It comes with a 1piece scope accessory rail for easy additions detachable box magazine threaded muzzle and a synthetic black stock.